A high-performance belt for the lift drive in rack feeders, an engine mount for which natural rubber from dandelion roots is used, as well as robust and powerful rubber tracks ­ these are ContiTech's highlights on show at this year's Hannover Messe. 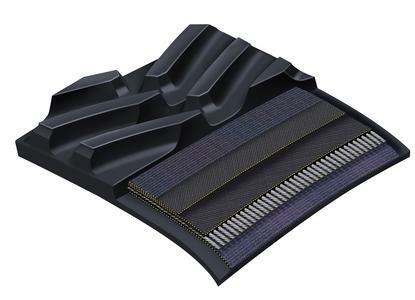 In addition, an ultra-light flooring for the aviation market will be presented. From April 25 to 29, 2016, the rubber and plastic specialist will show all the things it can do with its materials expertise. Its sustainable solutions and trend-setting technologies for industry and the off-highway area will be on show in hall 6, booth F18. 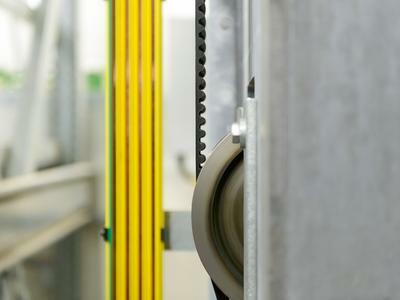 Minimized wear and tear, lower maintenance, optimized positioning times: together with the supplier of intralogistics systems, LTW Intralogistics, and sales partner, Synchrotech, ContiTech has developed a new technology for the lift drive of rack feeders. This patented system can be used to position goods in high-bay warehouses quickly and precisely. 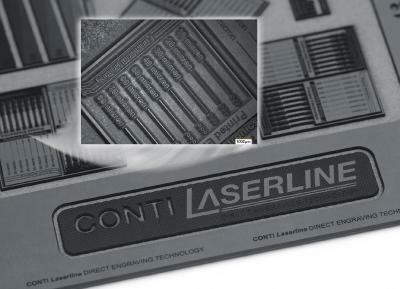 At the heart of the development is a Synchrodrive timing belt from ContiTech. It is particularly long-lasting, low-maintenance, and does not require lubrication. It thus meets the requirements of the intralogistics industry, particularly with regard to the payload in combination with the high fracture resistance that is required. The technology is based on the principle of the block and pulley ­ the "flashed belt drive" is currently a unique combination of two mechanical classics. It has already proven beneficial in series production. 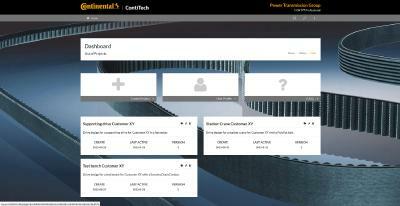 ContiTech is now going one performance class better. With the further-developed Synchrodrive belt, even higher pallet weights, larger accelerations, and lifting heights of 30 meters and more are possible. This is achieved with a distance of 20 millimeters between the teeth, as opposed to 14 millimeters as was the case in the past. In the case of very high lifting heights, the high-performance belt features proportionally lower stretching ­ an advantage for the systems' key performance indicator. Up to five metric tons can be lifted with the Synchrodrive HTD 20M. 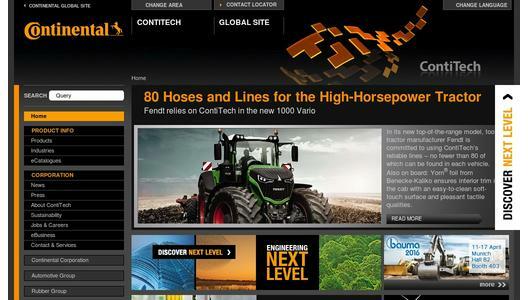 ContiTech will present the belt at Hannover Messe. The product properties are the same, the quality remains high and yet it's a technical revolution: ContiTech has developed an engine mount for which natural rubber from dandelion roots is used. 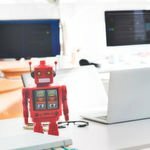 What works in automotive construction could also be applied in other industries in the future. In the use of natural rubber from dandelion roots, ContiTech sees major advantages for the environment and more independence from traditional raw materials, the market prices of which can fluctuate considerably at times. Up to now, traditional natural rubber has been obtained exclusively from rubber plantations in the world's rainforest regions ­ known as the rubber belt. The transport routes are long, but there is currently no other alternative. This would change if, in the future, natural rubber with at least the same performance properties could also be obtained from dandelion roots. Natural rubber from dandelion roots has already proven itself in prototypes at Continental's Tire division. Together with the Fraunhofer Institute for Molecular Biology and Applied Ecology (IME), the Julius Kühn Institute, and the breeding company Eskusa, Continental is now investigating the possibility of obtaining rubber of the highest possible quality from dandelions. Trackman rubber tracks from ContiTech ensure safe driving in the construction industry. They are like closed drive belts with a track section on which heavy devices and tractor units such as vans or road construction equipment move forward. Compared with tires, they distribute the vehicle's weight more evenly across a larger surface. The rubber tracks are maintenance-free and consume less energy than other track variants. Thanks to new Armorlug technology, they now perform even better and are even longer-lasting: several fabric layers embedded in the drive lugs strengthen the material, and thus improve resistance. The rubber tracks are produced in St. Marys, Ohio, U.S.A. ­ the partner country for this year's Hannover Messe. ContiTech has a team there with a wealth of experience in development and production, and controls the global sale of these products from the U.S.A.
With Flightfloor Eco, Benecke-Kaliko, ContiTech's surface specialist, presents a trend-setting technical change of generation for the growing aviation market. The further-developed flooring is characterized by its outstanding material properties. It is extremely long-lasting, very light, and thus scores top points both from a cost-efficiency as well as environmental perspective. With a weight saving of up to 50 percent per square meter compared with standard material, fuel consumption can be reduced. This also lowers CO2 emissions. The material is halogen-free, and meets the aviation industry's strictest requirements regarding reaction to fire, smoke gas density, and smoke gas toxicity. In airplanes, the flooring is mainly used in highly-frequented areas subjected to particularly high loads. Examples of these are the entrance area, flightdeck, galley, and bathroom. Benecke-Kaliko is a global pioneer in the development and production of resistant interior materials that feature ultra-low emission values, and are safe and environmentally friendly to the highest degree. The specialist in automotive interiors is thus expanding its industrial business. Among other things, innovative product solutions for occupational safety and work clothing, for seating furniture and fashion items, as well as for energy-generating protective covers for water reservoirs are on offer in this series.